The image of the company on the labour market is becoming the defining factor in choosing the job by the candidates. Nevertheless, only a few companies make targeted efforts focusing on building and developing their brand. In this article we are going to discuss the main stages of building an employer brand, the tools of diagnostics and promotion and define how to measure the effectiveness of this process. The term “employer brand” was first used by Simon Barrow in 1990, and in 1996 the definition of this term was given – it is a complex of psychological, economic and functional advantages that are associated with the company and are perceived as value by the working employees. Sometimes another definition of the term is used: employer branding is the image of the company as a good workplace in the eyes of all parties concerned. Such definition seems to be more complete because it mentions not only working employees but also all those who interact with the company on the labour market – candidates, students, clients, former co-workers, shareholders, etc. HR-branding is the term used to define the process of building the employer’s image. The work content: the scope of the challenges, the level of the clients, the balance of work and private life. EVP is 5-7 items consisting of clear notional statements concerted and approved by the heads of the company. 1 Where to start the work on building the HR-brand? Where to start the work on building the HR-brand? The foundation of this work is the mission, the values, the corporate strategy and the staffing strategy. The HR-brand is an important part of the corporate brand of the company. Researches show the high correlation between the consumers’ loyalty to the production or services of the company and their wish to work in this company. At the same time, negative information (scandals, concerning the goods or services of the company) also have a strong effect on the company’s image as an employer. If there is negative experience connected to the employment in the company, the loyalty to the products or services of the company decreases. Let’s point out five main stages of work on building the HR-brand. Define the goals basing on the overall strategy, values, the staffing strategy and have an interview with the top managers. On this stage it is important to define the tasks that must be solved through this work – to increase the staff involvement, to keep the best employees, to enlarge the number of job seekers etc. Define the target audience, form a workgroup, agree upon the budget and the resources necessary for the realization of the project. It should be noted that a workgroup should include not only specialists in human resources but also marketers, PR-specialists, the heads of the structural divisions. Study the brand perception by the target audience. The external audience is candidates, job seekers, students, partners on the labour market, former co-workers, etc, and the internal one is the working employees. Conduct focus groups, questionnaires, monitor the information about the company on the Internet, analyze internal documents, communication channels with the target audience, corporate mass media, etc. Also, analyze the competitors on the labour market on this stage. Study the information about the competitors’ positioning: job descriptions, videos about the companies, websites of the competitor companies etc. Note that the matter is not just for the companies that compete for the clients, but also the ones that search for new employees among the job seekers who are your target audience. According to the survey conducted in 2016, most HRs consider interviews with current employees, questionnaires among the job seekers, monitoring the image of the company on the Internet and exit-interview the most effective tools of HR brand diagnostics. The choice of tools depends on the goals and tasks that the company wants to solve in the implementation of the project. On this stage you should define the general employer brand concept, creative concept, visual images and formulate the EVP. For example, the French pharmaceutical company Sanofi developed the origami graphic concept as a symbol of project work: an idea – a prototype – the result. A dove symbolizes the fulfillment of plans and hopes. The image of a healthy family represents the mission of Sanofi – creating a higher-quality and healthier life for millions of people. If the company chooses several target audiences, there may be several EVPs as well, but all of them must be a unified core, the unified employer concept. For example, technical specialists in the central office may be offered some conditions and bonuses, and the employees of regional offices – the other, depending on the shortage of specialists on the labour market and their value for the company. Define the channels of promotion in accordance with the chosen target audience. They can be a corporate portal, Job-sites, Youtube channels, social networks, articles in newspapers, interviews with employees and the heads in mass media, open days and holding master classes and seminars. According to the survey mentioned above, our colleagues believe the most effective tools of promoting an HR-brand to be social networks, videos, a career site, branding the web page on job sites and advertisements on the Internet. For example, if a company aims at members of generation Y, the choice of channels will be defined according to their needs. It can be informing through mobile applications, social networks, videos, etc. The most important thing is to be sure that your potential employees use this channels. What indicators can help to assess the effectiveness of expenses on HR-branding? They are the goals and objectives that you set at the beginning of this work. If you wanted to increase the involvement, do not forget to measure it preliminary. If you wanted to lower the costs of hiring the personnel, it is necessary to count the cost of hiring one employee, monthly and yearly expenses, etc. at the beginning of the project. All the indicators should be analyzed in dynamics. The number of received suggestions for improving the company’s performance. 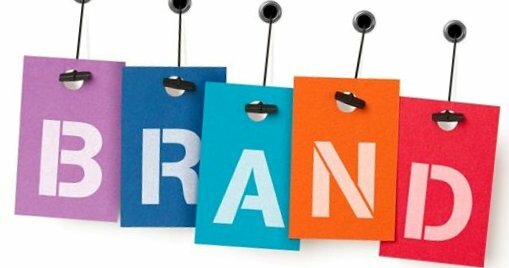 It must be noted that with changing the main strategy of the company and external conditions the concept of employer branding can be altered as well. In this case the target audience, the EVP, the channels of promotion can change. It will be necessary to return to the first stage and adjust all components of the employer brand to the new conditions.